Posted in: Public Outreach. Tagged: astronomy, solar eclipse. UPDATE: Fantastic crowd tonight, with lots of good questions and comments. Thanks, all, for coming. I’ve posted my presentation below. On August 21st, 2017, a total solar eclipse will be visible across the continental United States, the first such eclipse in 38 years! 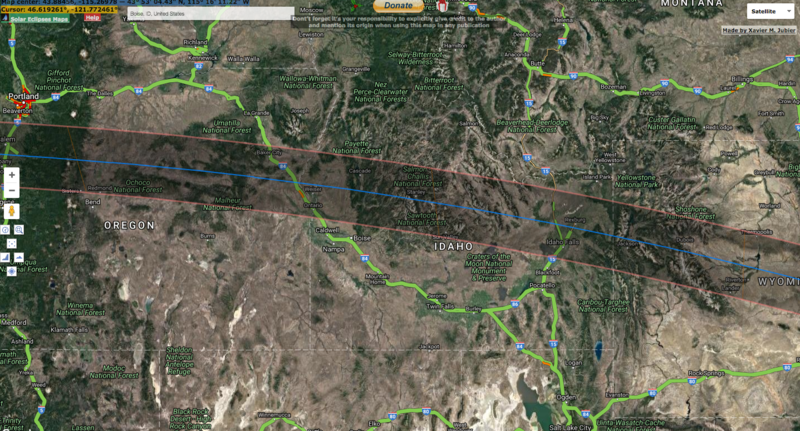 With the path of totality passing directly across our state, Idaho will be a destination for eclipse-chasers from around the world. On Friday, December 2nd 7:30p to 10p, join the Boise State Physics Department for a stargazing party, with a special lecture about the eclipse from Boise State’s own Dr. Brian Jackson. The event will be start in the Multi-Purpose Classroom Building in room 101 at 7:30p and then move to the top of the Brady Garage at 8:30p, where telescopes will be set up for star-gazing (weather-permitting). E-mail Dr. Jackson (bjackson@boisestate.edu) for more info. UPDATE: Here’s the interactive eclipse map – http://xjubier.free.fr/en/site_pages/solar_eclipses/TSE_2017_GoogleMapFull.html. Please remember to donate to help support that effort. 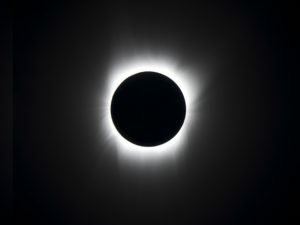 NASA’s Solar Eclipse page is here – https://eclipse.gsfc.nasa.gov/solar.html.